This is a detailed review of the Sigma 1.4x Teleconverter EX APO DG for the Nikon mount. I had a chance to test out this teleconverter, along with the 2x Sigma teleconverter when working with the Sigma 120-300mm f/2.8 lens (review to be published within the next week), so I wanted to share some of my findings and compare the teleconverter to its Nikon counterpart, the Nikkor TC-14E II. In this review, I will go over the optical characteristics of the Sigma 1.4x teleconverter and talk about its performance when using both Sigma and Nikon super telephoto lenses. Unfortunately, due to compatibility issues with using Nikon teleconverters on Sigma lenses (see below), I had to obtain a copy of both Sigma teleconverters to test the optical performance of the new Sigma 120-300mm f/2.8 Sport lens. Having a constant aperture of f/2.8, the Sigma 120-300mm sounds like a very interesting choice, especially when coupled with teleconverters. It is also an intriguing choice price-wise, since with its $3,600 MSRP price (as of August 2013), the Sigma 120-300mm is significantly cheaper than the comparable Nikon 200-400mm f/4G VR lens ($6,800) or the Canon 200-400mm f/4L IS ($11,800). With the Sigma 1.4x teleconverter, the lens essentially becomes a 170-420mm f/4 lens, which covers even more range than the 200-400mm lenses from both Nikon and Canon at the same constant aperture of f/4. While detailed test results from the teleconverter will be published in the upcoming Sigma 120-300mm f/2.8 review, I will share some Imatest data with our readers from this lens and compare the performance of the teleconverter to the Nikon TC-14E II, mounted on the Nikon 300mm f/2.8G VR II lens. Detailed specifications for the teleconverter can be found in our lens database. One of my biggest frustrations with the Sigma 120-300mm f/2.8 Sport lens, was the fact that it will not take any of the Nikon teleconverters – they simply will not physically mount. I am not sure if there is a technical reason for not allowing that, but given that teleconverters are mostly “pass-through” lenses for magnification purposes, I initially did not think that I would be faced with any cross-brand compatibility issues. It turns out that teleconverters are very brand-specific. Nikon teleconverters are designed to only work well with Nikkor lenses, while Sigma teleconverters are designed to only work well with Sigma lenses. So if you were thinking of buying a Sigma 1.4x teleconverter to be used for a Nikon telephoto or super telephoto lens – forget about it. Even though the Sigma 1.4x will physically mount on any Nikon telephoto lens that can take teleconverters and it will perform well optically, it will cause all kinds of lens communication and autofocus issues. For example, when I mounted the teleconverter on the Nikon 300mm f/2.8G VR II lens, it confused my camera into thinking that the maximum aperture of the lens was still at f/2.8 (the correct max aperture is f/4 instead, since 1.4x teleconverters lose one full stop of light). When I mounted the teleconverter on my Nikon 70-200mm, it incorrectly communicated the focal length of the lens. I also lost the ability to autofocus. The teleconverter caused both Nikon 300mm and 70-200mm f/2.8 lenses to go to an AF loop and my 70-200mm sounded like it would break if I kept on trying to acquire autofocus. 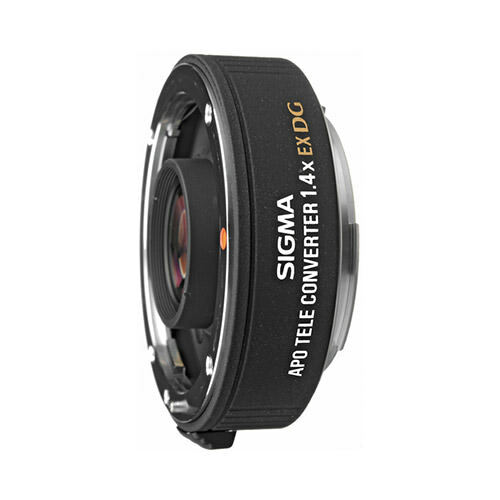 In short, only use this teleconverter with Sigma lenses! Sigma maintains a full list of compatible lenses for the 1.4x teleconverter on their website, so make sure to check that your lens is listed on that page before you try to mount the teleconverter. Thanks to its all-metal construction, the Sigma 1.4x teleconverter feels like a very solid lens. Both sides of the mount are metal and there is a red dot on the mount itself, which is what you would use to align the lens and the camera. From the usability perspective, I prefer markings on teleconverter’s barrel instead, like on all Nikkor TCs. It is easier to look at the side of a TC when mounting it, rather than looking for the red dot on the mount. Being about 20% shorter than the Nikon TC-14E II, it is hard to believe that such a small unit could accommodate 5 high quality optical elements in 3 groups. Yet Sigma managed to do it and the teleconverter does indeed work quite well for its small size. The spring-based single lever on the side of the teleconverter allows to easily detach it from the lens and it seems to be made to last for years. Overall, the teleconverter is built very well. Like I pointed out above, forget about trying to get this teleconverter to focus on Nikkor lenses. On Sigma lenses, however, it is a whole different story – autofocus operation is fully maintained and the teleconverter does not seem to negatively impact the AF speed of the Sigma 120-300mm f/2.8, which is good news. Accuracy also does not seem to be impacted, although mileage might vary from lens to lens. Obviously, AF performance and accuracy will surely suffer on slower lenses, with fast lenses being the best candidates to be used with the extender. Similar to AF performance, lens sharpness, contrast and color rendition will depend on the lens the teleconverter is coupled with. When I used the teleconverter on the Sigma 120-300mm f/2.8 Sport, contrast and colors looked superb. Sharpness-wise, as expected, there is definitely a drop of sharpness across the frame, but it is not outside of specs or abnormal. As you will see from the below comparisons, the Sigma 1.4x loses about the same amount of sharpness in the center as the Nikon 1.4x TC. Although the overall sharpness is dropped by about 15%, the center resolution at f/5.6 looks very good. The lens resolves more than the Nikon 300mm f/4G + 1.4x TC, which is impressive! However, the performance at the maximum aperture is rather weak, so I would highly recommend to stop down to f/5.6-f/8 range to get the maximum performance. In comparison, the Nikon 300mm f/2.8G VR II has noticeably better wide open performance, but the center resolution is about the same at f/5.6 and smaller. Where the Nikon 300mm f/2.8G VR II shines is its sharpness consistency throughout the frame – it is much better in mid-frame and the corners (see below)! B&H is currently selling the Sigma 1.4x teleconverter for $224 (as of 08/25/2013). 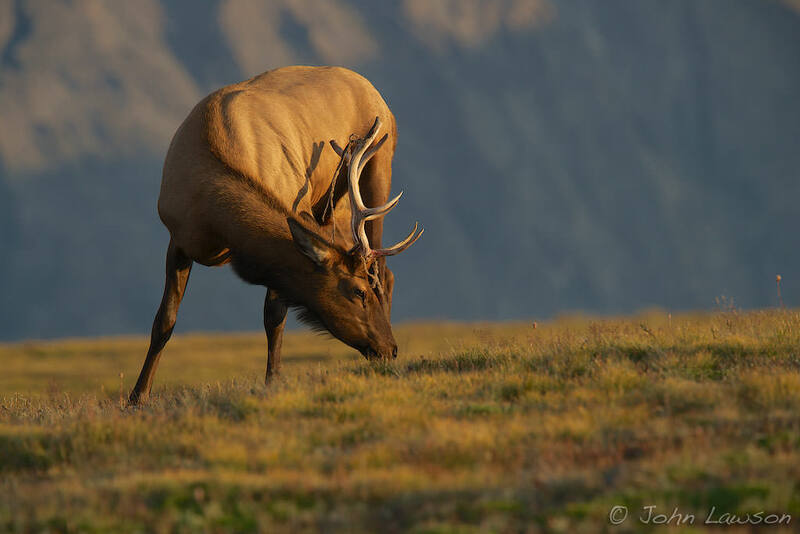 Big thanks to our friend John Lawson for providing sample images! If Sigma only works with Sigma, and Nikon only works with Nikon (and I’ve read that before, so I didn’t find it surprising), performance kind of becomes moot, doesn’t it? Excellent details in your review. Makes me wonder if there is a tab or something that could be ground off the Sigma lens to allow it to mount the Nikon TC14 which appears to be superior. I suspect that it’s the usual issue of the “extra” tab on the TC14E mount which would have to be removed……. Then it may well fit the Sigma, as it does many other lenses once modified. I tried this (removing the tab) with my Nikon TC17-E II and a Sigma 180mm macro lens. It had the same ‘AF loop’ effect Mansurov experienced using the Sigma TC with a Nikon lens. It became impossible to use AF because it would focus (or over focus) then under focus, and repeat (very very fast). I wonder, technically speaking, what the cause is? Aside from the electronic issues with AF, how didthe Sigma 180mm (which one?) perform with the TC17E? Nice review, Nassim. 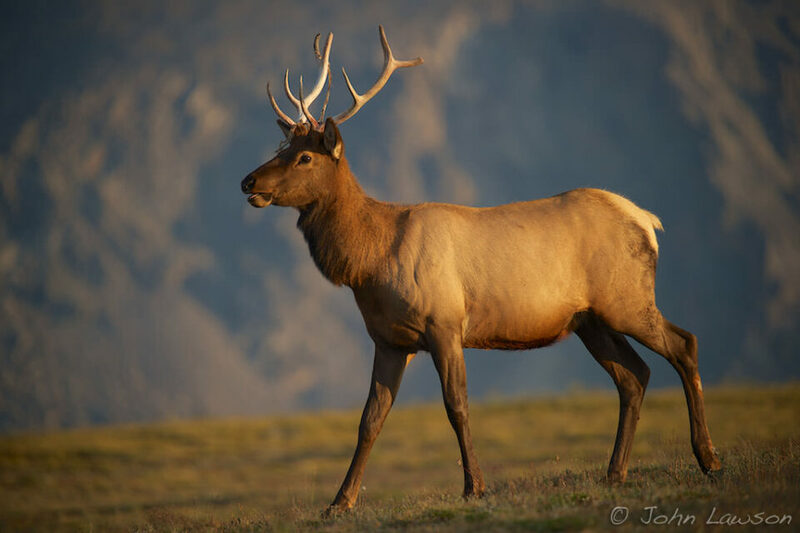 Do you know if the 1.4 teleconverter will autofocus with the Sigma 50-500 and a D800? Bit the bullet last December, and bought the D800, 24-70 2.8, 14-24 2.8, and 70-200 2.8. I also have the Sigma 50-500, and it was great to have in Antarctica in January. This was a good test! Just out of interest what happened with your Nikon super telephoto review? You may be interested to know that the Sigma 1.4 teleconverter works wonderfully with the Nikon 70-300 VR lens on my Nikon V1 utilizing the FT-1 adapter! It focuses seemingly as quickly as the lens alone on my D300 and the latest firmware update for the V1 allows it to continuously AF although, with the FT-1, only in the center. The lens and teleconverter also work on the D300, but with audible “stuttering” as it obtains focus and it is not as consistently accurate as the V1. The V1 focusing is amazing. Personally, I sincerely hope Nikon enters the APS-C market with a camera matching, at least, the V1/V2 capability. I’m an owner if they do! Good research with clear findings ! The Sigma 2x TC combined with a 120-300 OS is a complete different story: it is only usable in the 10 – 15 mtr range. Beyond that sharpness is unacceptable. One negative on all TC’s (Sigma, Nikon, Kenko): using it in the field after a while will loosen the screws. Also the superb quality of the 120-300 has nothing to do with the reliability of the system. Both my AF and OS part have been replaced within two years so I decided to sell. Sigma 120-300 OS ? Not recommended for daily use. I use the Sigma 120-300/2,8OS on D800. Results are great all-over – also with the Sigma TC1,4 APO DG at f 5,6 or smaller. I have machined a Nikon TC20EIIIasf. to fit all lenses ( including 120-300/2,8OS ). Results ar no better than with the Sigma 2X TC APO DG. The Nikon2X TC can NOT be used with ordinary optical AF, because of horrible constant hunting unable to lock on any motiv. Using Live-View and Cary-Speed VF-3 there is no problem – besides mediocre picturequality…. I went and bought a Sigma 2x teleconverter today and mounted it on my Sigma 70-200 f2.8 lens. I use it on a Nikon D3200. I was greatly disappointed in this lens. I get better results at 150 yards without the converter than I do with it. I ran throught all the combinations of aperture and shutter speed that I could do. I finally settled on f14 at 1/2500 of a second in bright light with 800 iso. I would not recommend this converter to anyone. Maybe the 1.4 does a good job, but you need lots of light, and a high shutter speed to make up for any shake or vibration and all of my shots looked soft. On another note, do not order a Promaster, they do not function on the sigma lens, it keeps searching and will not lock onto your focal point. I tried that before I bought the Sigma for almost $300. I feel I just wasted a lot of money. Trying to focus on flying eagles today was useless with the converter. What about canon lenses and Sigma Teleconverters. I recently acquired a Sigma 70-200 Apo OS f/2.8 lens. I own the Siggy 120-300 OS and both the Siggy and Nikon 1.4 TCs. If you grind the extra tab off the Nikon TC it will fit on the Siggy. I believe it is sharper, but it communicates the wrong f stop and hunts a bit for focus. So Siggy on Siggy and Nikon on Nikon is the TC rule. Nasim’s review is very helpful because you’ll look in vain to find TC and lens combos run through Imatest anywhere ele. That said, you should look at the resolution results at Dpreview and DxO for the lens itself. They are quite a bit different than reported here. To be specific the MT50 chart at the center at 300mm generates 2500 lp/mm at f2.8 and doesn’t budge through f5.6 at Dx0 and DPreview whereas Nasim reports substantial increases in resolution when stepping down from f2.8 to f5.6. Different copies? Different test procedures? I don’t know. My copy of the lens seems as sharp wide open as stepped down, consistent with the DxO results. Also, for whatever it is worth, if I crop to obtain the same small field of view at about 30 feet from a D800 and D7100 the D7100 resolves better — more pixels on the target makes a difference. I know this is an old post but I also noticed this here and in the review of the S120-300 Sport. I also own this lens and notice the smallest increase in center sharpness when stopping down. It is not only DXOmark though that has detailed this, plenty of other sites (google it or ask me for examples if you can’t find them) also show that center performance doesn’t change much when stopping down. Seems like a sollid remark you’ve made; bit strange you didn’t get a reply. Ulrich: I’d be very interested to hear what you think of the Sigma 120-300 non-OS with the Sigma 1.4 TC. I borrowed that combo from a friend a year ago, and I was amazed at the results. The 120-300 is very sharp by itself, and I couldn’t see any drop in sharpness using the Sigma 1.4 TC with it. On the other hand, I’ve used the Sigma 2.0 TC a few times, and the results were far less sharp then the Sigma 1.4 TC. The lent alone is very Sharp. using it with TC 1.4 TC you will notice a small drop on quality . I use it with D90 and D2XS . From what I have read elsewhere the new Sigma A, C and S lenses are only designed to work well with Sigma’s new TC 1401 converter, however the new converter’s are not backwards compatible. I have used the older converter reviewed here on my 50-150 f2.8 OS HSM with stellar results, only a minor drop in center image IQ and a moderate jump in CA. It might be interesting to see your tests performed on the previous version of the 120-300 to see if there is a difference. Does anyone know if this Sigma 1.4 TC will work with Zeiss lenses? I am particularly referring to the 135mm APO f2 which I own, which sometimes a little more reach might be useful. The Nikon TC 1.4 does not fit.